I received this sample of Tea Ave’s Magnolia Oolong for free, a review of the tea was not requested by the company. This little sample of Magnolia Oolong came in tea sachet form, which still has the level of detail that I’ve come to know and love from Tea Ave’s packaging. The origin of this tea is from Alishan Mountain Region, Nantou, Taiwan. The base of this tea is Alishan Jin Xuan Oolong, and it is scented with magnolia flowers. Now, I am not a botanist so I cannot 100% state that this oolong smells like magnolia flowers, but there is a beautiful floral aroma from the tea itself. The floral aroma smells sweet and goes well with the oolong without overwhelming it with the floral fragrance, which I appreciate. Like other Tea Ave teas that I’ve tried so far, the packaging includes details on brewing in a gaiwan, with a tea bag, tea pot, and cold brew. 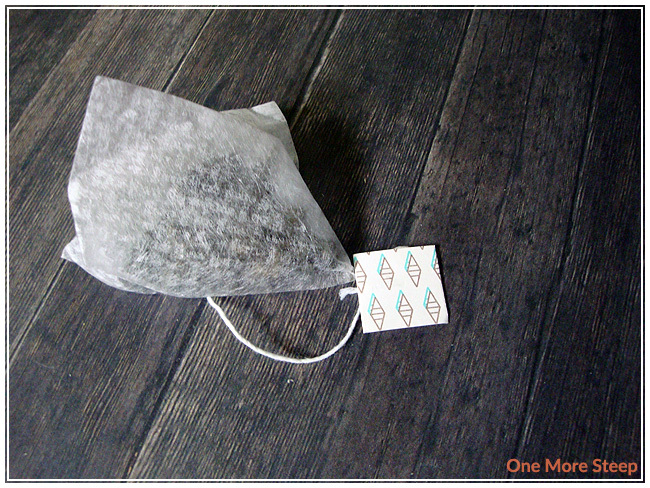 Because my sample came in a tea bag, that’s the option I went with for brewing methods. Tea Ave recommends steeping with boiling water (100C) for 1 minute and to resteep up to 3 times (so 4 steeps total). I steeped the first cup for 1 minute. 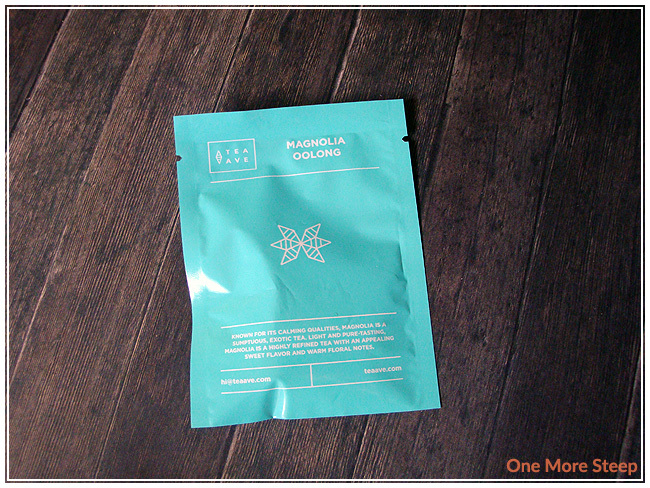 Magnolia Oolong has a very soft floral scent to it, it steeps to a pale golden yellow. On first sip, I’m surprised by the lightness in the tea. The floral taste to it isn’t overwhelming, and there’s just a touch of sweetness that reminds me a lot of honey. It’s a very smooth tea that has a buttery quality over my tongue – the sweetness of it just coats my month and it is such a pleasant cup of tea. No hint of bitterness at all, the recommended steeping time is on point for this tea and it is delicious. Despite being a scented oolong, I really wanted to resteep Magnolia Oolong to see how well it would do – especially since Tea Ave even said it could be resteeped up to 3 times, so don’t mind if I do. The first resteep, I steeped it for about 90 seconds total. It had a much richer floral taste to it, there was a more pronounced buttery quality to the tea that makes it much more decadent. 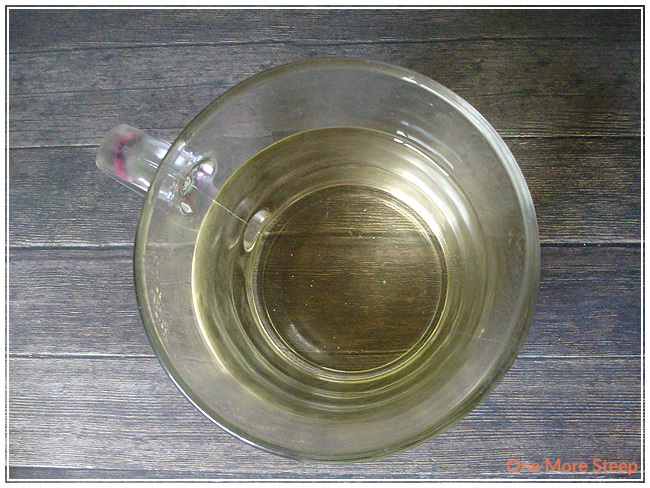 The colour of Magnolia Oolong is also a deeper golden yellow, the floral aroma is divine. I quite enjoyed my second cup! For resteep #2 (120 seconds) and resteep #3 (150 seconds), the buttery quality remains true with the honey sweetness and floral tones that are much more brighter than a simple jasmine. I loved Tea Ave’s Magnolia Oolong. I found the floral tones of the magnolia scent to be more pronounced with each resteeping, which was a delight in itself. I loved the fact that it does so well with being resteeped with even better quality in each sip than the steep before it. Tea Ave was quite good with it’s recommended steeping time and also with the number of resteeps that the tea holds up for. The buttery floral taste to this tea makes it worth resteeping again and again, I would definitely recommend that you give this oolong a try if you can – the honey sweetness that exists without adding any sugar makes this tea so delightful for those who likes sweet things like I do.